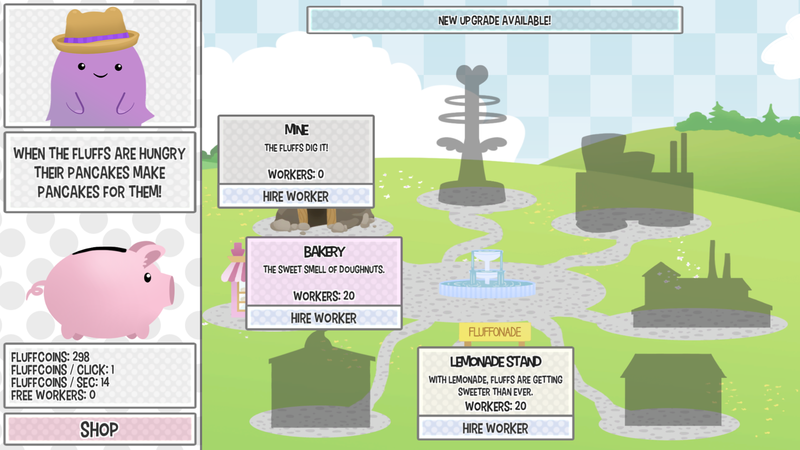 Flufftopia is a cute little clicker game with a story. Help Flufftown to grow and eventually become Flufftopia! But wait… could there be even more? Your host Happy would love to accompany you and give advice! 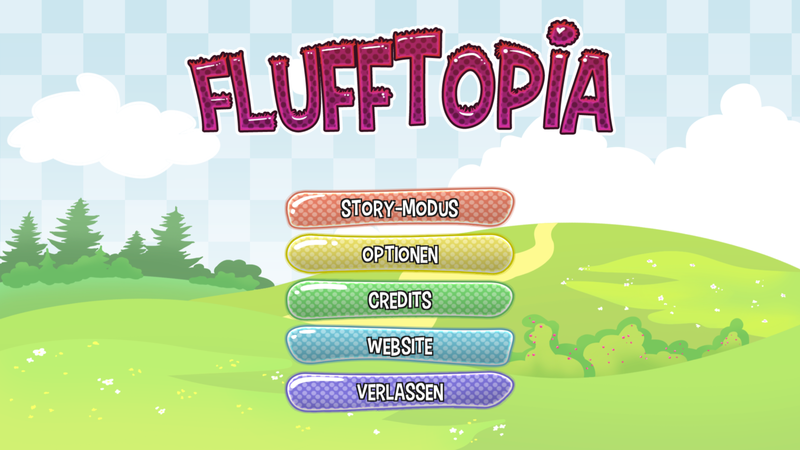 A playthrough of the story of Flufftopia takes around 30 minutes to complete. It's free and localised in English and German. After our programmer, Chris, left the team in January, we (Angela & Daniel) decided to continue working on our own using the Unity-Engine. 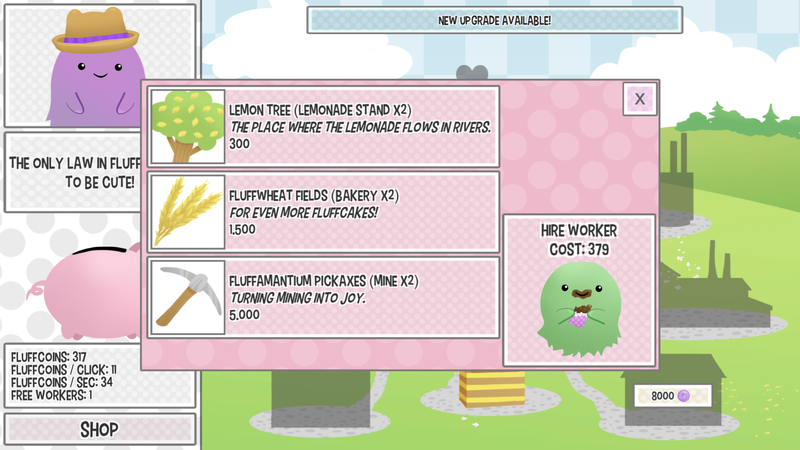 After a little idle project from Angela, we wanted to explore the possibilities of idle games. In recent years we played a bunch of different idle games like Candy Box or Cookie Clicker and those gave us the inspiration for Flufftopia. 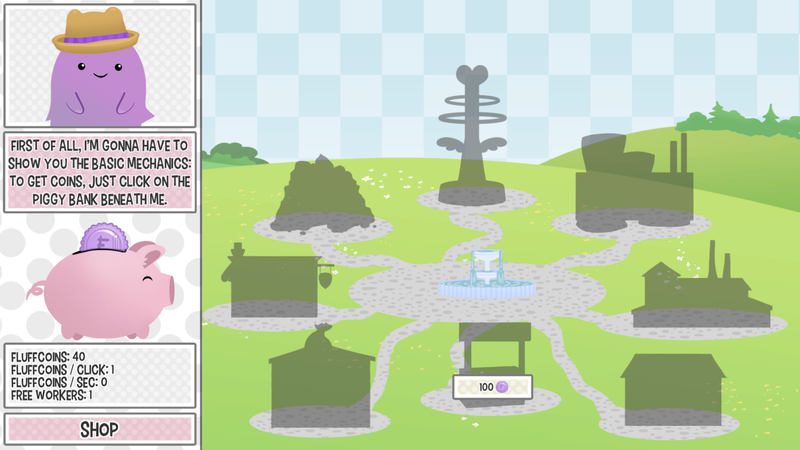 Like our previous game Intra-System we wanted the story to be outstanding, to make the game different. The development took around one and a half months to be completed. Our main focus for the project was to learn how the engine works so that we would be able to continue our work on Devastated: Andrew's Dictaphone afterwards.